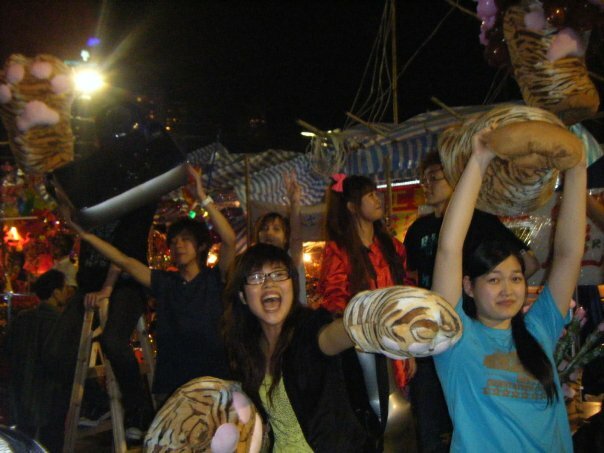 Check out my first hand experience of Chinese New Year 2010 (year of the tiger) and Macau in this blog post from my study abroad days. Who doesn’t love fireworks? Plus a perfect spot to view them from. I had yet another very full week in Hong Kong, especially since that week was the first weekend of Chinese New Year (the year of the tiger to be exact). That week I experienced “Asian ice cream” for the first time, and we had two flavors to choose from: red bean or coconut. And I use the term ‘ice cream’ very loosely; essentially, it was either chilled red bean soup with bits of red bean (one exchange student referred to it as “sock water” – he wasn’t too far off) or coconut milk soup with bits of fruit and rice. I liked the coconut soup better, personally – the red bean is much more of an acquired taste. At the very beginning of the exchange semester, all the foreign students were assigned a local student to be their buddy for the semester, help them acclimate to Asia and all that – my buddy, April and I didn’t really hit it off. It turned out she was too wrapped up in her own classes and friends to pay much attention to me, so I was adopted by my friends’s buddies: Stephen, Cherry, and Sherry (very typical English language names Chinese students choose for occasions requiring them like English classes, international business, etc.). 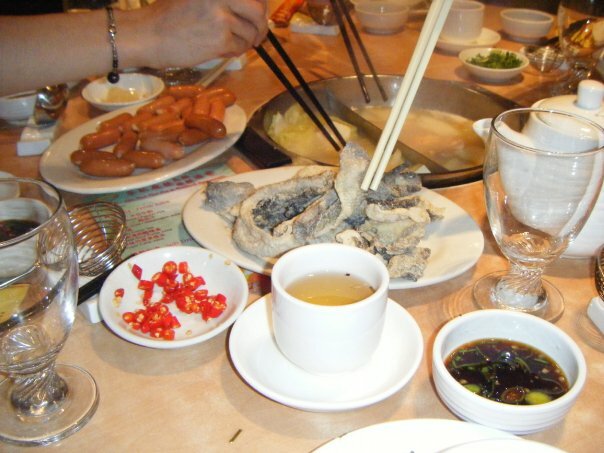 The week of Chinese New Year I went with my girlfriends and their buddies to group hot pot in a very nice all-you-can-eat-style restaurant. I’ve never before seen so much food at one time (little did I know all-you-can-eat Korean barbecue would easily rival hot pot)! A small sampling of some of the goodies we dumped into the pot of boiling water at hot pot. Fried fish skin and sausages are the only foods I can identify here. The waitresses just kept bringing us more and more food (raw beef, ostrich, seaweed, shrimp, squid, lotus roots, Bok choy, lettuce, dumplings, tofu, sausages, fried fish skins, dough balls, scallops – the list just goes on and on and on!) and we cooked it all in a giant pot of steaming water in the center of the table before fishing it out with our chopsticks. Stephen told us that if we didn’t finish everything we ordered the restaurant would charge us for any leftover food for being wasteful. In short, after consuming so much food, I seriously reconsidered the threat made by every mother ever of that old line “there are starving kids in China.” No starving kids I was aware of at that moment. Paws! Paws! Get your tiger paws here! Ooooh… shiny… spinny. Must. Have. One!! to snacks and giant rubber ducks. It was so much fun to walk around and see the vendors yelling and trying to get people to buy whatever they were selling. What wasn’t so fun was that our 5,000 best friends had also decided to visit the market too. If you’re at all claustrophobic, Hong Kong would not be the wisest choice of vacation destinations – there are always people everywhere. Space is at a premium and the real estate prices in the country reflect that. For a low, low price you too could be this stylish. On Thursday, one of my friends from Austin, Texas told us he’d been elected President of the Floor in his dormitory the night before! Apparently this was the first time an exchange student had ever been elected president of a floor or club at HKUST, so that was pretty exciting, and all he had to do as president was organize some floor activities during the semester and go to hall meetings. Pretty cushy job. Later that same day, I also had my first taste of mah jong, and actually beat three regular students in my first game through sheer dumb luck. Mah jong is a little like gin rummy, except played with tiles and you need more sets of three. I wanted to learn to play it better – but didn’t have a chance, unfortunately. Saturday was the true start of the Chinese New Year break which lasted until Tuesday, before classes resumed Wednesday. On Saturday, it was raining so some friends and I went to the Hong Kong Science Museum and spent the afternoon “learning” ( or playing, whichever you prefer) indoors. 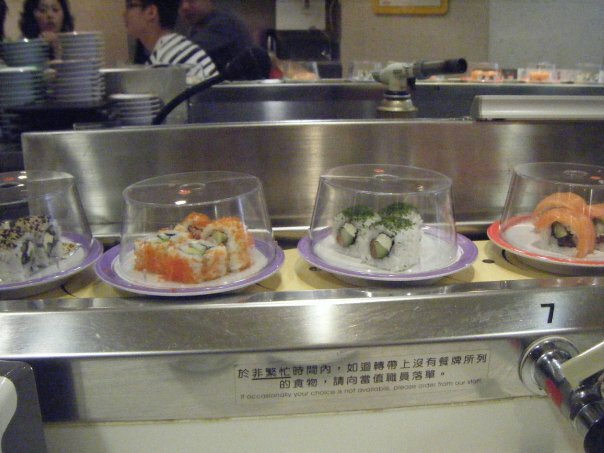 We also had lunch that day at our first “rotating” sushi restaurant in Hong Kong where we sat at the counter, and sushi chefs prepared dishes, then set them on a conveyor belt circling the counter for customers to pluck off at will. Each dish had a different colored rim to indicate how much it cost, and we could pick any plates we wanted then just have the bill tallied up at the end. It was a fun and totally unique experience I’ve not seen since I got back to the States! Sunday was Chinese New Year’s Eve, and four of my friends and I bought hydrofoil tickets the previous weekend to go to Macau (an island off the coast of Hong Kong considered Asia’s version of Las Vegas because of the massive casinos there). We picked a great day to go to Macau [insert sarcastic tone here] – the weather wasn’t prime (unless you like chilly and a bit rainy), but the festivities going on for the New Year were very cool! 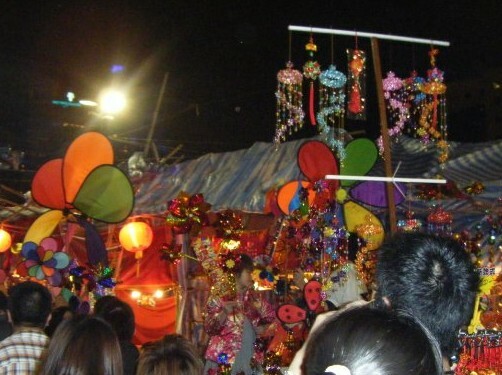 There were colorful stages and performances all over the place, free gifts being handed out, local temples crowded with people making wishes for the new year, and street vendors everywhere selling pinwheels, dragons, puppets, incense — trinkets of every kind. 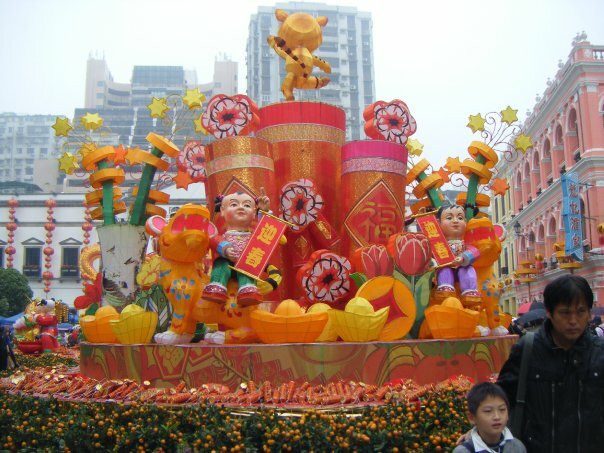 One of the many floats on display for Chinese New Year in Macau. 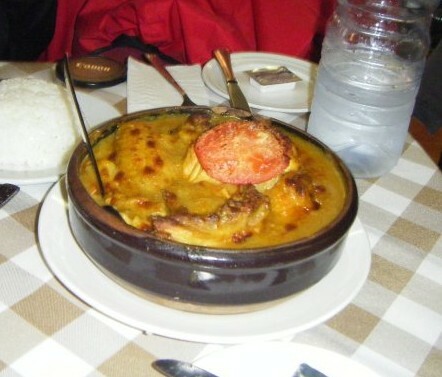 Macanese baked chicken with coconut, turmeric and potatoes. In Macau, we also got to try authentic Portuguese / Macanese food in huge portions (everything in Hong Kong and Asia seems to revolve around eating large portions of really tasty food). While on our day trip we visited the ruins of St. Paul (a church that was entirely destroyed except for the one front wall which still stands), the Macau Museum (which offers amazing views in its Walled Fortress Garden on top of the museum of the surrounding city), and some of the casinos. Look at this picture and tell me it doesn’t look like Vegas. 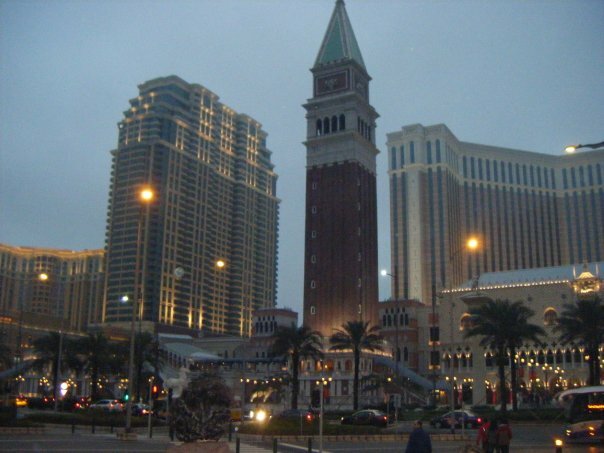 Tell me that’s not the spitting image of the Venetian in Las Vegas. 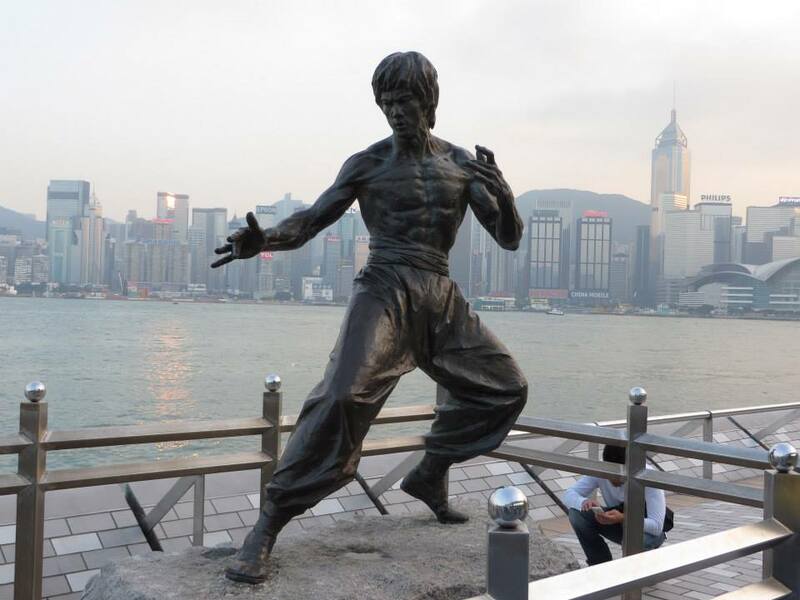 The following Monday was the actual Chinese New Year, so for the evening a group and I went to TST’s Walk of Stars (kind of like the walk in Hollywood where star’s names are engraved – Bruce Lee is there) to watch the fireworks over the harbor. The Walk was right along the harbor and the city closed down the streets around it so people could freely wander to get good viewing spots for the show. We ended up right along the rails looking out over the water, and the fireworks show was spectacular! It lasted almost 30 minutes and was just amazing. One guy even filmed the whole thing with his camera, periodically switching arms as one or the other got tired. 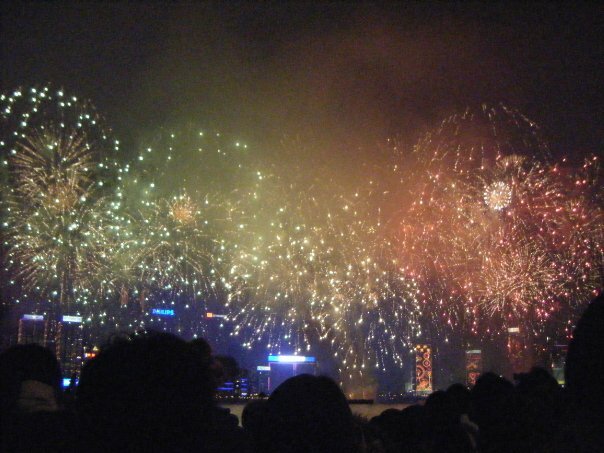 I know it was absolutely a once-in-a-lifetime experience that I had, and I’m so glad I got to see Chinese New Year 2010 this way. Tuesday was my last day of holidays before classes started up again, and all the Chinese students who went home to mainland China celebrate with their families began returning. For a few days the university seemed almost deserted, but then it was teeming with people again all wheeling large suitcases from taxis back into their dorm rooms. Keep your eyes out for my next post soon! 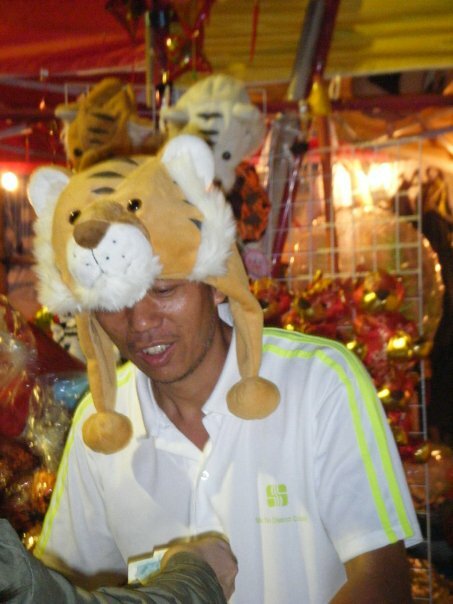 This entry was posted in Asia, Hong Kong, Macau and tagged Asia, Chinese New Year, Hong Kong, Macau, Tiger, Travels on February 28, 2014 by Paige N..